During the China International Sewing Machinery & Accessories (CISMA) show in Shanghai, China Sept. 25-28, Gerber Technology, the sewn goods industry’s leading provider of automation technology, is demonstrating breakthrough software and manufacturing solutions that embody decades of best practices from thousands of users – making them easy to operate, easy to maintain and capable of producing the highest-quality products possible. 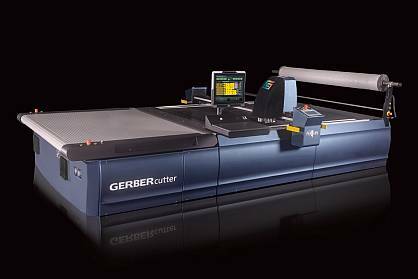 The new Paragon System from Gerber maximizes cut room productivity with advanced machine intelligence and breakthrough ease-of-use. Paragon leverages Gerber’s decades of experience and the learning from over 250 million hours of cutting operation to produce high- quality cut parts regardless of material, application or operator. With its superior uptime performance, Paragon also enables manufacturers to realize a higher return on investment by producing more parts in less time.